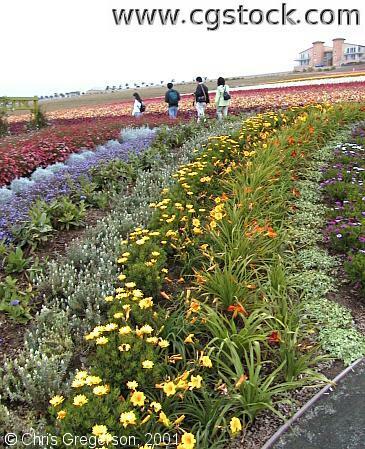 This is an area of the Flower Fields where an artist has designed a living floral pattern. This was designed by Gary Lang and is called "Circles and Cycles, a Chance Garden". The hillside of flowers that the Flower Fields are named for is in the background.